Cloudy with a chance of footballs: Expect deflated UFC 169 viewership if the Super Bowl is moved to Saturday. The winter weather on the East Coast so far in 2014 has looked like something out of the movie The Day After Tomorrow with huge, blizzard-like conditions pounding cities far and wide. 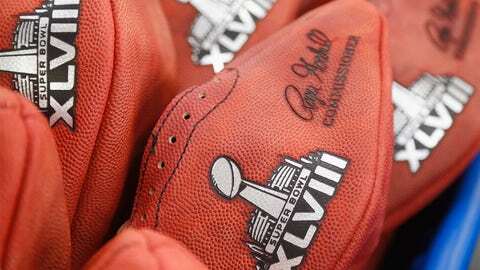 It’s a particularly interesting conundrum, because next week Super Bowl XLVIII takes place in the outdoor MetLife Stadium in East Rutherford, New Jersey and if conditions are predicted to be terrible on Sunday, NFL officials may opt to move the game to Saturday night. Now, for the fans planning on attending the game, it may mean a change in travel plans or hotels. For fans watching at home, it means shifting work or plans to make room for the Super Bowl. For the UFC — who has a major pay-per-view event planned for Saturday night in Newark, New Jersey — the prospect of going head to head with the Super Bowl sounds like an absolute nightmare. Wow, wouldn’t that be a f**ker? "I’ve been seeing that. I didn’t know, I don’t keep on that stuff, but I was getting some tweets from people saying, ‘What are you going to do if the game gets moved to Saturday?’. Wow, wouldn’t that be a f**ker?" UFC president Dana White commented on Thursday when speaking to FOX Sports. "Yeah that would hurt. "If 120 million people are watching the Super Bowl on Saturday — let’s just hope that doesn’t happen." The likelihood that the NFL moves the Super Bowl to Saturday remains slim, but given the extreme nature of the weather conditions that have hit cities throughout the United States over the course of the last two weeks, anything is possible. 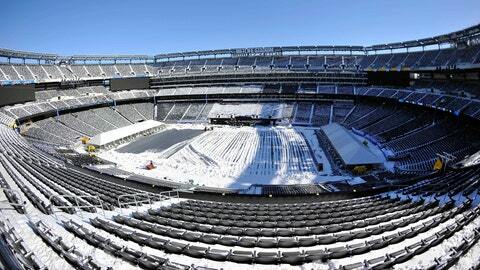 A snowed-in MetLife Stadium on Super Bowl Sunday translates into certain doom for UFC 169 interest. The Super Bowl is of course the biggest ratings juggernaut on TV (this year, the game is on FOX), so no program ever wants to go up against the game, much less try to produce a fight card in the same area while asking fans to plop down $50 to watch the show. "I’ll move my fight to Monday," White joked. Current forecasts haven’t been made yet since the game is still more than a week away, but weather experts have said that there is definitely a chance for some snow to hit the east coast by next weekend. White and the UFC will assuredly be crossing their fingers for sunny skies and no snow to ensure the success of next weekend’s UFC 169 event.